February 25th, 2014 by alisonpepler. At least its dry at donington. 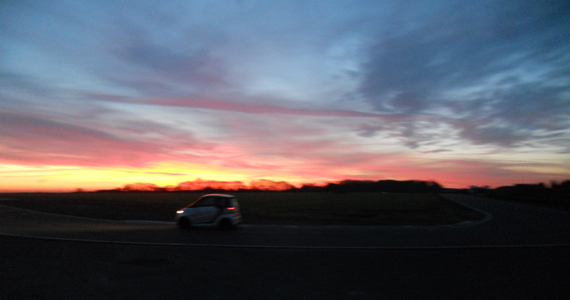 With the smart roadster making its first ever test. Jc motorhomes out on track with trader, Specialized and G and M.
Posted under News, Test Days with 0 responses . February 24th, 2014 by alisonpepler. 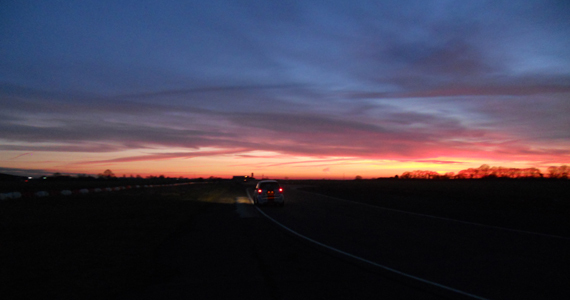 Cars are loaded, bags are packed and we are now on the M25 towards Donington park for the first test of 2014. So here is to some good weather for the test tomorrow. July 4th, 2011 by alisonpepler. Issue 6 of track driver magazine has got a great report on the race cars. Go online and sign up for a copy today. April 15th, 2011 by alisonpepler. Smarts 4 You Racing headed up to Tockwith circuit for a two day test and shakedown of two new cars. At a mainly dry track the cars ran well over both days and two drivers already signed up for the series came along with their SR4 race cars for some added testing. This also gave the team at Smarts 4 You Racing a chance to evaluate how the cars perform. Eighteen people came along to the Northern circuit to try out the cars and enjoyed driving them. Four more cars have now been sold for the 4two cup which gets underway on May 6th at Donington Park. Posted under News, Test Days, Uncategorized with 0 responses . March 31st, 2011 by alisonpepler. We will be at Tockwith Autodrome with four of the new race cars for a final shake down before the start of the season. If you are looking for a drive this season and fancy either an arrive and drive package or would like to purchase one of the race cars then please contact me to arrange a day convenient to you. 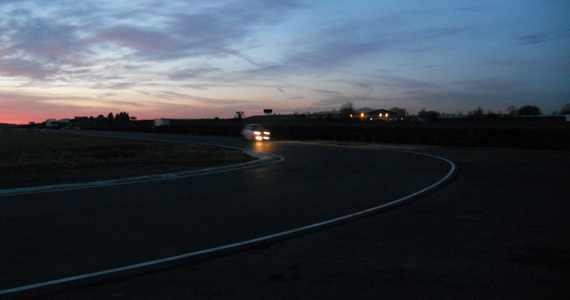 You will have the opportunity to try the cars on Tockwith’s private 1.2mile track and discuss the options available. Posted under Test Days with 0 responses . March 16th, 2011 by alisonpepler. March 15th, 2011 by alisonpepler. 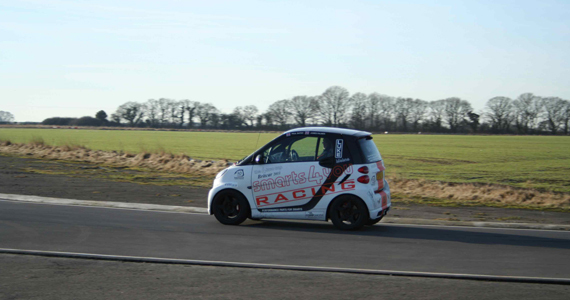 Smarts4youRacing invited some of the UK’s top female racers to test the new smart racecar at a revamped Donington Park circuit in Leicestershire. Despite the very cold weather, the ladies all seemed pretty impressed with the diminutive car and a few were keen to test it again. 17 year old racer Jade Paveley was the youngest ever driver to take part in a UK 24 hour race and seemed quite taken with the BRABUS. 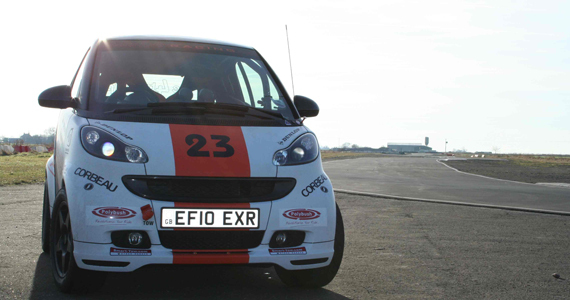 Jo Polley is used to racing Minis, but found the smart quite different to drive. 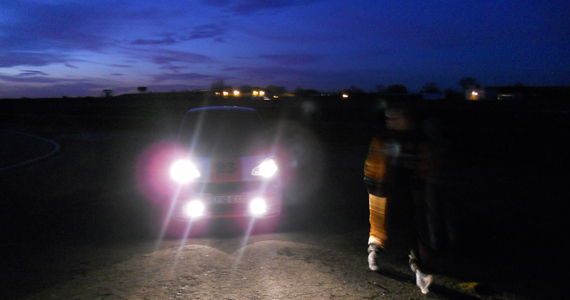 Cassey Watson has raced quite an array of different cars and last year was driving another small racer, the Fiat Abarth. With a few of the ladies keen to test the car again and with plenty of media interest in the day, Paul at smarts4youracing was pleased with how things went. January 26th, 2011 by alisonpepler. 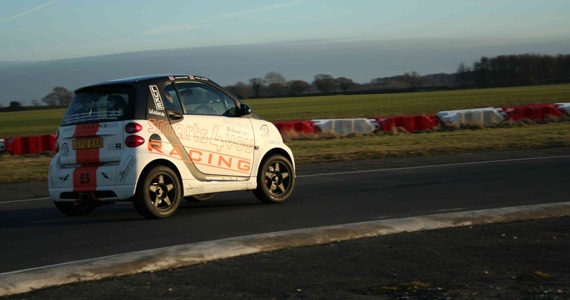 After a very busy and successful Autosport International Show, where the UK’s first smart car race series was unveiled, the 4two cup organisers headed up North so that a team could get to grips with the pint sized car. 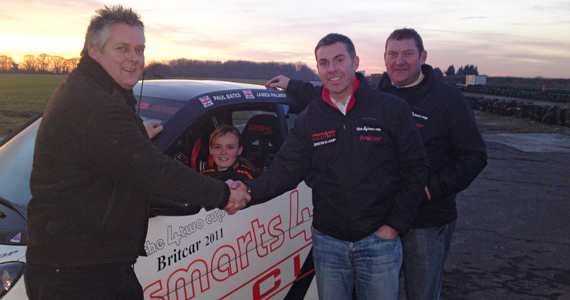 The Moore family has a rich racing pedigree and two champions took to the track to put the smart through it’s paces. Nigel, the current Formula Palmer Audi Champion and younger sibling Sarah, 2009 Ginetta Junior Champion felt at home in it. With the series aimed not just at youngsters, looking at the next affordable level of racing, but drivers that have wanted to race and couldn’t afford to, the founders of the 4two cup hope to have a cross spectrum of drivers on the grid. The test ended well into the late afternoon, as it proved to be popular amongst the entire family, with them all taking turns driving the car around. Posted under News, Photos, Test Days with 0 responses . December 2nd, 2010 by alisonpepler. We have just been notified by Gold track that the test day at Brands Hatch on Sunday is cancelled. November 15th, 2010 by alisonpepler. We spent the day testing the car on it’s new tyres. New in every way, Size and make. What an amazing difference this has made to the car. Making the tyres smaller means we can get the car lower and closer to the track, giving us the ability to play with the suspension and ride height even more. We had quite a few potential clients out in the car and none of them could believe the stability and grip levels being generated. I think we managed to upset a few drivers in there much more expensive and powerful Super cars, too the point that they would not let us pass. But point proved, the car is very well balanced and with enough grip to have a hell of a lot of fun.